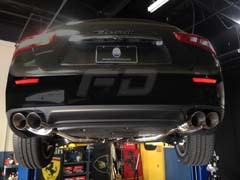 Order your Larini Systems - Sport Exhaust Today! 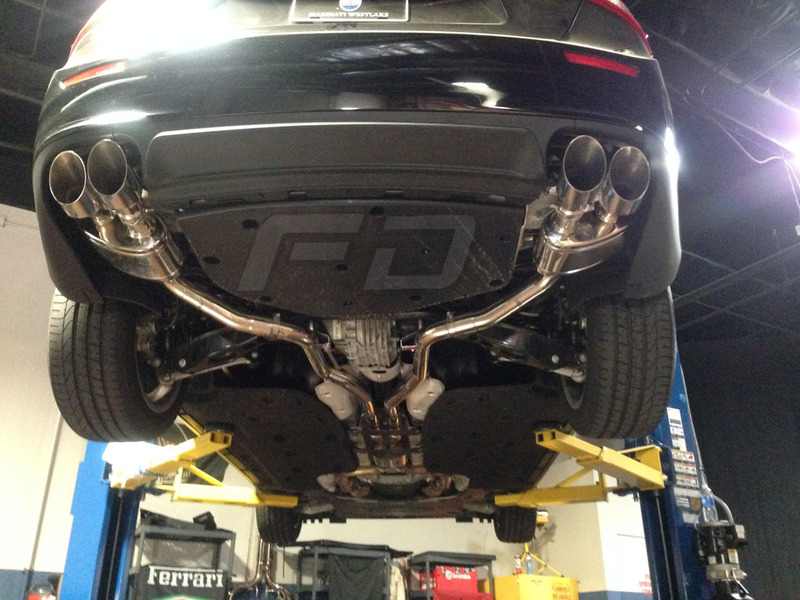 Larini Systems and Formula Dynamics have teamed up to offer you the Ultimate Sport Muffler System available today for the Maserati Quattroporte 3.0 / 3.8 Twin Turbo. 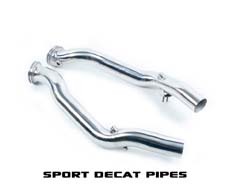 High Quality Tig Welding, Stainless Steel Construction and a great fitment are all things you'd expect from the very best exhaust system on the market today. However, nothing can prepare you for what comes next... because the first time you hear the Breathtaking Exhaust Notes and see the Stunning Sport Tips in person. You'll wonder how you ever truly enjoyed your Maserati without hearing the sound of the Ferrari engine under the hood... unleashed. 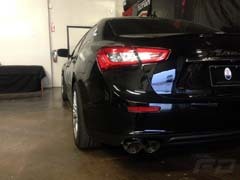 From the sound of it's screaming acceleration to those intoxicating crackles on decelleration, you'll know you've found the very best exhaust system for your Maserati. 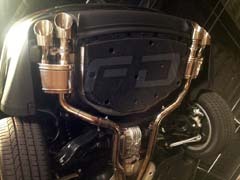 Larini Valved Mufflers also have a unique design allowing you to open and close the muffler valves, changing the exhaust flow inside the muffler to be louder when opened up or quieted down when you don't want to wake up the neighbors! 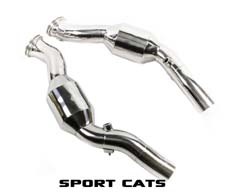 To control this feature you can use an (optional) hand held remote control or installed switch to activate the muffler valves or even the original factory control that will open when the factory SPORT button is pushed. Contact Formula Dynamics for more information. We accept Visa, Mastercard, PayPal via (paypal@formuladynamics.com), Wire Transfers or Cash for all Products. When you are ready to purchase please call (800) 351-8757 to discuss payment options and arrange for shipping. Standard Ground Shipping charges will be applied to orders within the Continental USA. Please call or email for shipping arrangements outside the Continental USA. Manufacturer offers a 3 Year Warranty on this product. This does not include damage from misuse or improper installation. Products that need warranty service will be photographed and sent to the manufactuer to get a Return Authorization Code. Then they will be sent in for repair. Manufacturer reserves the right to repair or replace any damaged item at their discretion. We are looking for quality dealers for our Street and Track Products as well as installation centers. Please email us directly for more details.